Ukraine International Airlines (UIA) from April 25, 2014 will launch a Kyiv to New York direct flight, the airline reported in a press release on Tuesday. "In the period from April 25 to May 13, 2014 Kyiv-New York flights will be performed twice a week, and from May 14 two more flights a week are to be added. From June 12, the airline will fly to New York five times a week and from June 14 – six times. From June 23, 2014 the Kyiv-New York flight will be performed every day," reads the press release. A Boeing 767-300 with business, economy premium and economy seats will be used on the flights. 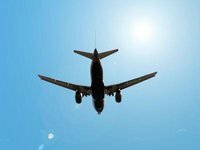 The price of the round trip economy class ticket will total UAH 7,532, taking into account all duties and taxes (the price is set until June 15, 2014). UIA was founded in 1992. It is the largest Ukrainian airline. Its home airport is Boryspil (Kyiv). The UIA fleet consists of 37 aircraft: five Embraer-190s, 31 Boeing 737s, and one Boeing 767.